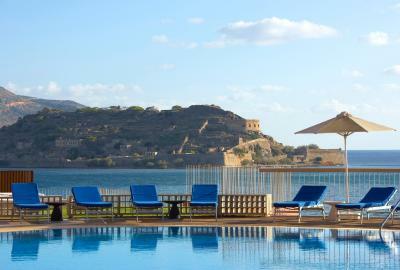 Lock in a great price for Domes of Elounda, Autograph Collection – rated 9.2 by recent guests! 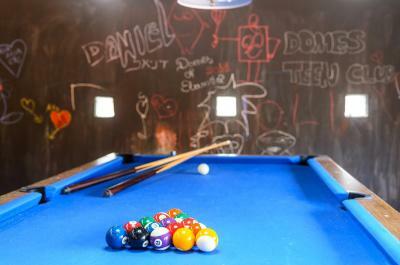 Wonderful staff, clean rooms and facilities, terrific private pool, spacious suites. 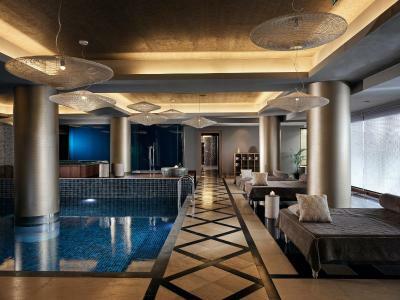 We have never stayed at a hotel/resort as perfect as this one. In fact, staying at this hotel ruined all other hotels for us because it was that spectacular. The staff was amazing. Our Villa and view from our room was out of a dream. We loved the area and walking to area restaurants and shops in Elounda. They even provided us to-go breakfast boxes since we missed breakfast on our early check-out. 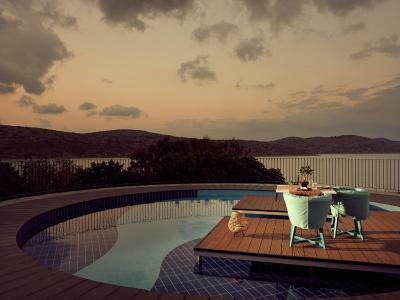 We miss Crete and Domes of Elounda already and hope to return someday. Very luxurious. Amazing staff. Great location and view. Liked the beach very much. The food was excellent. We had a Very good vacation. The staff were absolutely amazing. They were always friendly which made you feel incredibly welcome and they were always ready to help with anything from making the stay in the hotel even more comfortable to organising trips on the island for you. Location, rooms, facilities of the rooms. Kids club was great, pools were beautiful but too cold as it was the end of the season. Staff we on the whole really lovely and friendly. Lots of families with kids, all well behaved but probably not ideal if you're a couple! 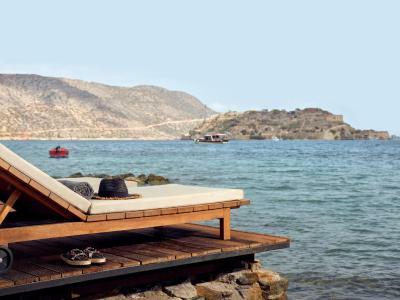 Domes of Elounda, Autograph Collection This rating is a reflection of how the property compares to the industry standard when it comes to price, facilities and services available. It's based on a self-evaluation by the property. Use this rating to help choose your stay! 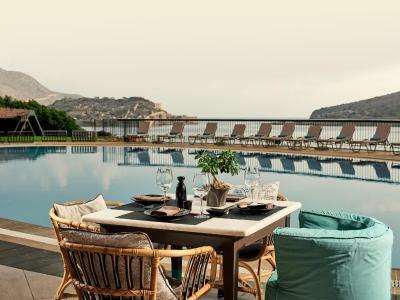 One of our top picks in Elounda.The 5-star Domes of Elounda, Autograph Collection offers luxurious accommodations with spa bath overlooking the Unesco-protected island of Spinalonga and its Venetian castle. 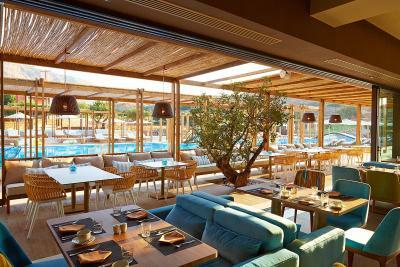 It has a spa and 4 restaurants serving haute cuisine dishes. 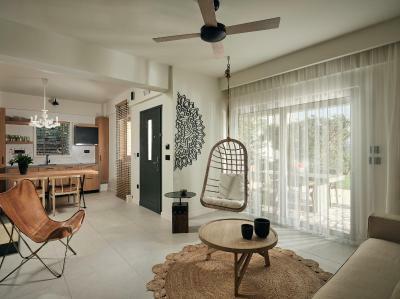 Each of the air-conditioned suites is uniquely decorated and has easy access to the private sandy beach. 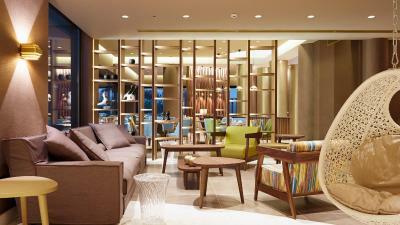 They include a spacious living room with wooden floors and a satellite LCD TV. All suites also have a private pool or open-air hot tub. 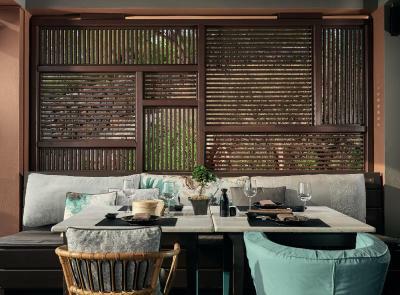 The 4 restaurants offer casual beachside settings or elegant dining rooms with panoramic sea views. 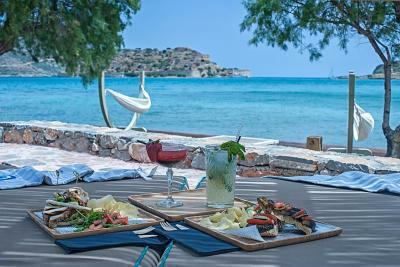 Guests can taste progressive Greek cuisine, seafood, Cretan dishes and Italian cuisine. An Asian restaurant is also possible. 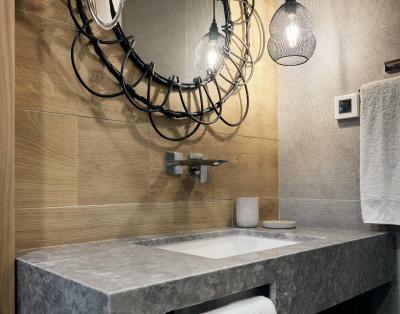 For guests choosing private or luxury residences, an array of Haute-Living services is available, including a dedicated villa manager, a lounge with VIP services, concierge service, private check-in, sun loungers at Spina, the VIP beach area, and upgraded welcome and bathroom amenities. 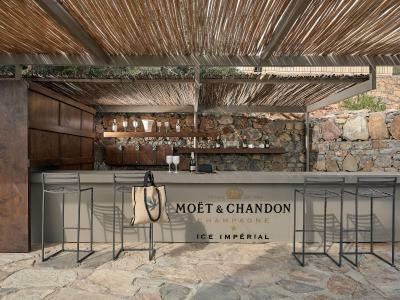 Other exclusive amenities include eclectic cocktail, branded spirits and all-day snacks, signature canapes by the resort's executive Chef, afternoon tea and state-of-the art gym facilities. 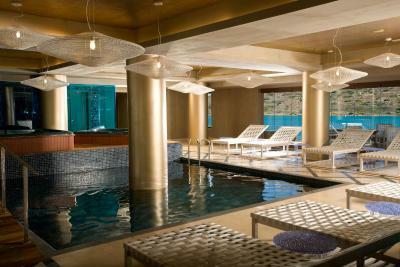 The spa of Domes of Elounda, Autograph Collection includes an interior seawater pool, sauna, steam room and hot tub. 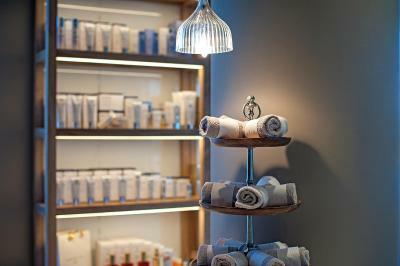 It also offers rejuvenating therapies, such as facial and massage treatments. Additional VIP services are upon charge and include a butler service, in-villa signature dining, VIP business package and helicopter transfer among several more. 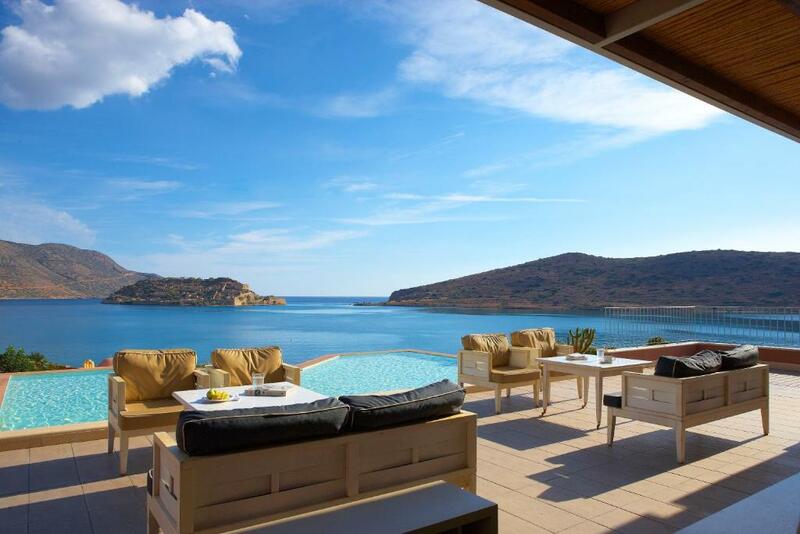 The village of Elounda is 1.6 mi away. 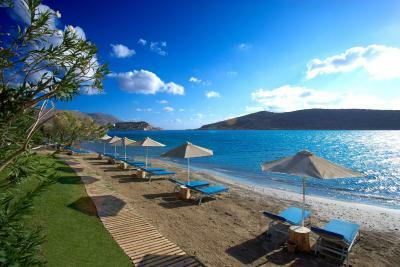 The lively seaside town of Agios Nikolaos is within 7.5 mi of Domes of Elounda. When would you like to stay at Domes of Elounda, Autograph Collection? 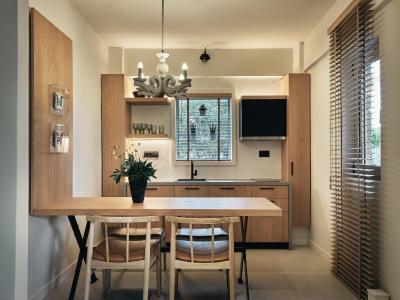 This suite features a 20-m² balcony with garden view and an outdoor jetted tub. 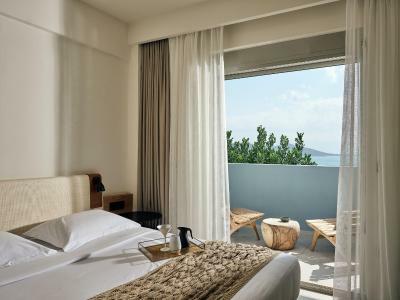 This suite features a 20-m² balcony overlooking the sea and an outdoor jetted tub. 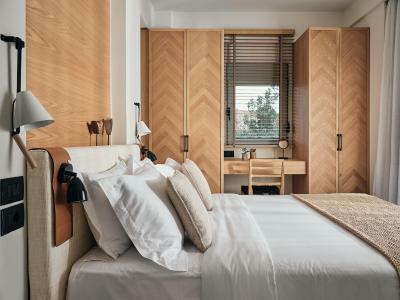 Featuring a private pool, this suite opens out to a 20-m² balcony overlooking the sea. Please note that images are for illustration only and rooms may vary. Overlooking the sea, this suite opens out to a 25-m² balcony with an outdoor hot tub. 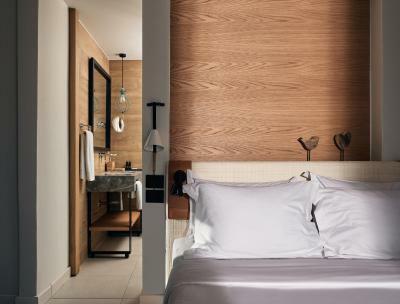 Featuring 2 separate bedrooms, this suite opens out to a 40-m² balcony with a jetted tub. This suite opens out to a 25-m² balcony with garden view and an outdoor hot tub. 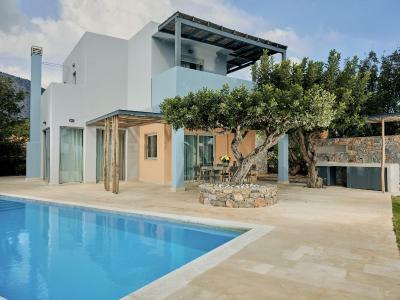 Featuring a private pool, this 2-bedroom residence has a 40-m² terrace with sea views. Featuring a private pool, this suite opens out to a 25-m² balcony overlooking the sea. 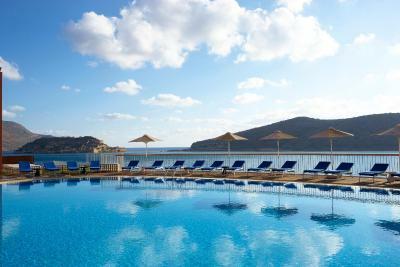 Domes of Elounda, Autograph Collection is ideal for couples and families alike. 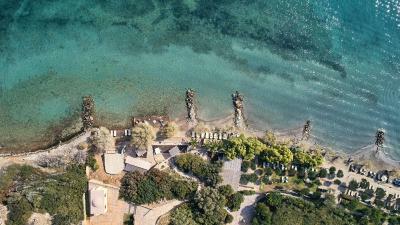 Offering authentic Cretan hospitality services, while being an internationally branded resort, Domes is privileged to offer the only natural sandy beach in the region, awarded with the Blue Flag. 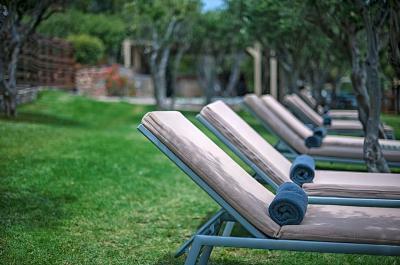 Soma Spa is implementing techniques and therapies exactly as the ancient Greeks used them. There is something for everyone at the resort; water-sports, a kid's club, an open theatre, exclusive crèche services, and experiences that evoke the thrill of exploration. Guests have the chance to discover unique cultural attractions in close distance as concierge services arrange appealing tailor made excursions on demand. 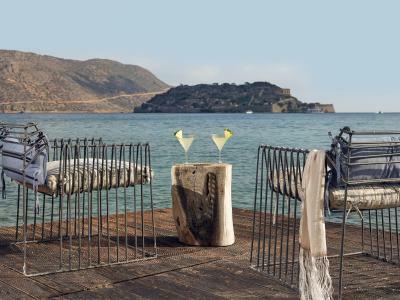 House Rules Domes of Elounda, Autograph Collection takes special requests – add in the next step! 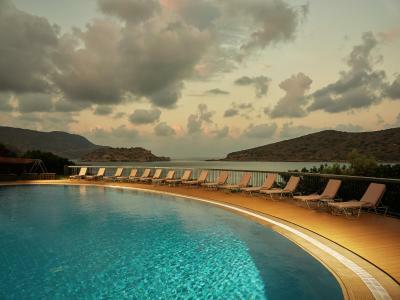 Domes of Elounda, Autograph Collection accepts these cards and reserves the right to temporarily hold an amount prior to arrival. 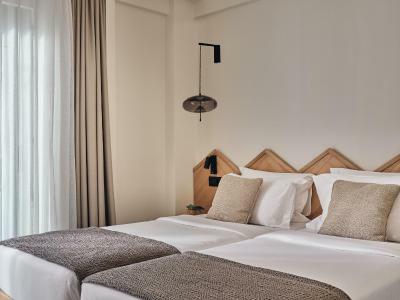 It is mandatory for guests to inform the hotel at the time of the reservation if they are staying with children, as well as their exact age, in order for the hotel to make the appropriate room arrangements. The only slight downside is that the location of the hotel is rather remote. Compare to our stay three years ago, this time we were accommodated in a far end of the resort so it was quite far from the beach and main half-board resto (before there were two of those) where dinner was served. Therefore we switched to the ala-carte for better convenience with two small children and quality. Food at the buffet included in the half board. The salads were excellent but the main courses were generally dry, over cooked and lacking. Breakfasts were good though only 4* (no fresh prepped eggs or omelettes for example). Very limited light lunch options, although there were nice restaurants a relatively short walk away in the town. Kids club activities only for toddlers until about 5-6year olds, kids club staff not very engaging, no attractive activities for preteens. Shop poorly stocked. Nice villa with private pool, very friendly and helpful staff, good restaurants, good food, good spa. Nothing - couldn't fault it! One of the best hotels we've ever stayed in. Incredible service, beautiful views, fantastic facilities - cannot recommend this hotel enough!!! We will definitely be returning! All facilities in the resort are very spread out so you need to ring for a golf cart to take you everywhere. We found this rather annoying as we prefer to move around independently. You also need a car to get to any of the nearby towns. Also, we had an issue with our room flooding which was eventually dealt with, but took about half a day. They eventually agreed to give us a new room as the smell from the flooding was terrible, but it took some convincing for them to do this. At a 5 star resort we would have expected better service. We stayed in a two bedroom villa with private pool. The room was very comfortable and the resort facilities were extensive. Breakfast buffet was also excellent. The restaurants of the hotel are quite pricey. We loved the friendly and forthcoming staff. 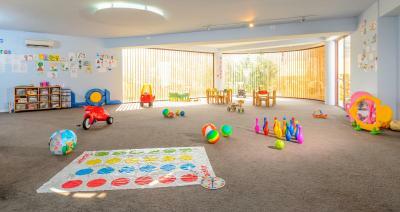 Everything is very child-friendly, the hotel has its own crèche and baby-sitting is available. 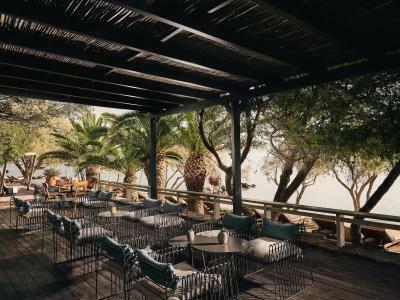 We especially enjoyed the bar and restaurant at the private beach. 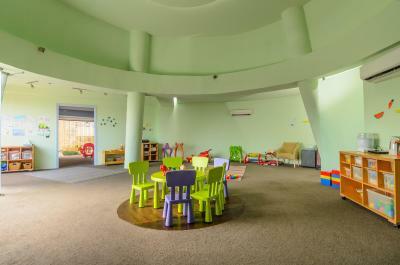 Rooms are completely different to the photos posted. Food on the beach is crap. This is only a minor comment but the restaurant selection was a little uninspiring. 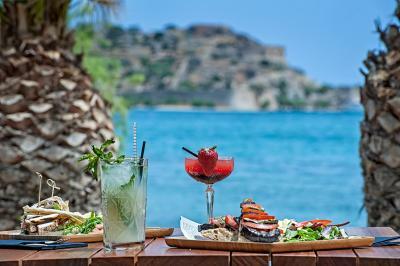 Other than the buffet restaurant, there is nowhere you can get an authentic Greek meal in the evenings. The food certainly wasn't bad but it also wasn't outstanding. 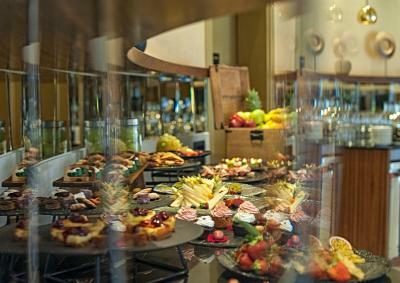 The breakfast buffet has all the options you would expect of a five star hotel but the quality wasn't always there. The room service options are also a little bit limited for lunch. It would have been great to have a few more light lunch options (the only real sandwich on offer is a triple decker club sandwich which was nice but quite heavy). 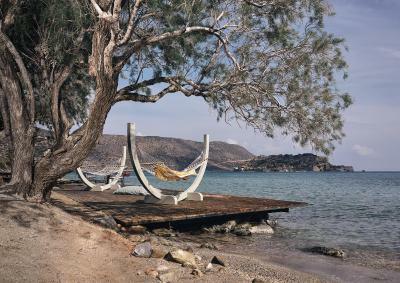 There are lots of good restaurant options in nearby Plaka or Elounda which is only an 8 Euro and short taxi ride away from the hotel. 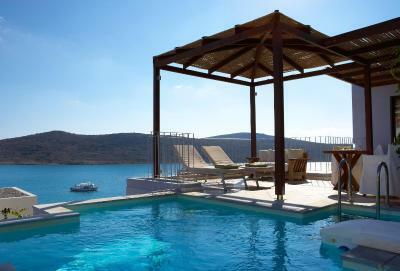 We had an amazing stay at Domes of Elounda. The suites looked just like the photos and travelling with a toddler, it was great to have a bedroom and a completely separate sitting room. 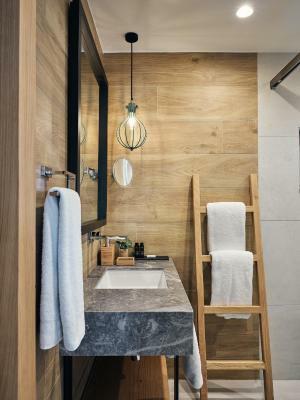 The bathroom was accessible from both the living and the bedroom which is very convenient when your toddler is sleeping. The balcony also was accessible from both rooms and we had an amazing view of Spinalonga (the first room we were allocated overlooked the lobby and the view was obstructed by palm trees but the management were amazing at rectifying this and giving us a selection of rooms to choose from). The creche was absolutely amazing! All the staff are highly qualified with lots of experience and they were great at making our son feel at ease and he happily went to the creche each morning. They also offer evening babysitting for a very reasonable 12 Euros an hour. This meant we had lots of time as a family but also were able to spend some time together as a couple knowing our son was happy. The beach is fantastic with young kids. The beach was sandy and the water is very shallow and there are no waves. This might make it a bit boring for older kids but for young kids it's a very safe beach which means we could relax without having to worry about our toddler. We will definitely be going back. Suites were too close together. Breakfast was not very good. For the price I was paying I would expect more. Also half board meal plan did not include drinks even water. Which was a bit ridiculous considering they charge you 4€ per bottle of still water. In room pool should be heated as the water was too cold to enjoy. My room was very nice. A la carte restaurants were pretty good. Very clean facilities. Staff were very pleasant. View from suite was very good.